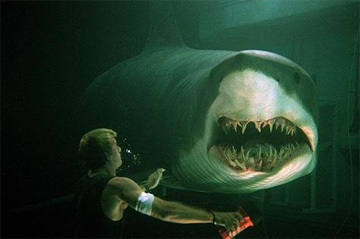 The animals-eating-people genre got a shot of adrenaline with the release of 1999's Deep Blue Sea. It's the story of an aquatic laboratory research team and the sharks that terrorize them. You may have creative theories on the best way to electrocute a shark, but how well do you know Deep Blue Sea?